SPECIAL - What is BLOCKCHAIN? Blockchain 101 with Christian Kameir SUSTANY Christian Kameir lead the merger of two of Europe's first Internet service providers as general counsel for NIKOMA, today part of the largest European ISP in 2000. After founding Yelp-predecessor Colizer in 2004, and selling the operation in 2008, Christian joined the board of several high-tech companies. In addition to majoring in business, he is master-certified in NLP and a graduate of Muenster's School of Law. Christian is also a guest lecturer at the Rady School of Business (UCSD), speaker and writer for technology magazines covering topics from artificial intelligence to blockchain technologies since 2010. Sustany Capital is focused on blockchain technology and cryptocurrency investments. International Blockchain & ICO Solutions My areas of expertise and interests are in future technologies, network effects and sustainability. Currently focussed on: Initial Coin Offerings / Tokenizations (strategy and smart-contracts) Cryptocurrency Investing Knowledge Engines Narrow A.I. 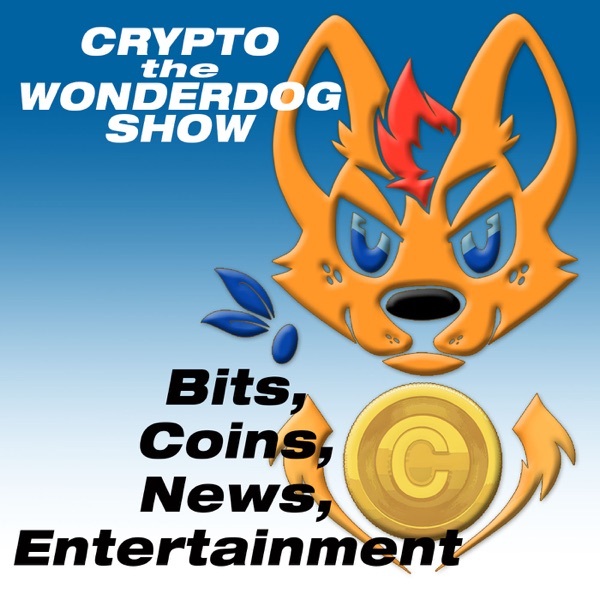 / User Agents Digital Marketplaces http://sustany.co/ https://www.linkedin.com/company/sust... https://www.eugdpr.org/eugdpr.org.html iTUNES: https://itunes.apple.com/us/podcast/c... YouTube - https://www.youtube.com/c/CryptoTheWo... SPOTIFY: https://open.spotify.com/show/1SaoepN... PODCAST PAGE - http://cryptocent.podbean.com WEB - Cryptothewonderdog.com TWITTER - https://twitter.com/CryptoCTWD FACEBOOK - https://www.facebook.com/CryptoTheWon... INSTAGRAM: @cryptothewonderdog BLOG: https://cryptothewonderdog.blogspot.com FEED: http://cryptocent.podbean.com/feed/ LinkedIn Group: https://www.linkedin.com/groups/13579876 Telegram: https://t.me/joinchat/HXYr-1E8iFne2LL... Crypto the Wonder Dog is now looking for the TRUTH when it comes to Cryptocurrencies and BITCOIN, Digital Currency... What to look out for, where to buy, trade, invest, loan, mine.... OMG!! Too much for 1 person to do this alone. I want t start a channel where we work together to learn as possible without getting burned. Please contribute what info you have.